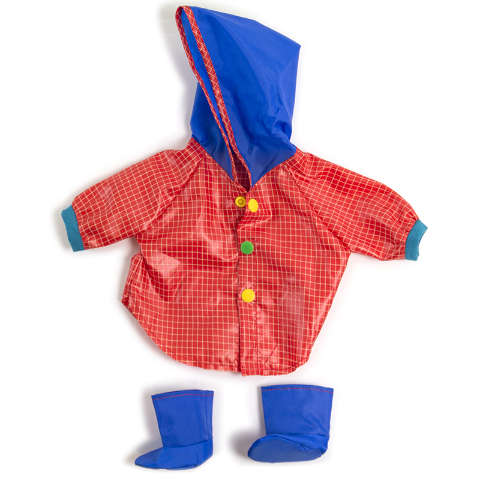 Raincoat and boots for dolls sized 15"-15 3/4". Made of shiny fabric. Unisex. Includes shoes and buttons for children to practice dressing skills. Designed to help children meet their needs of self-awareness and personal autonomy.